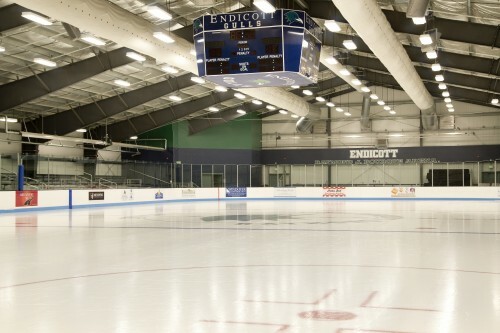 Endicott college consists of a 28,000 Sq. 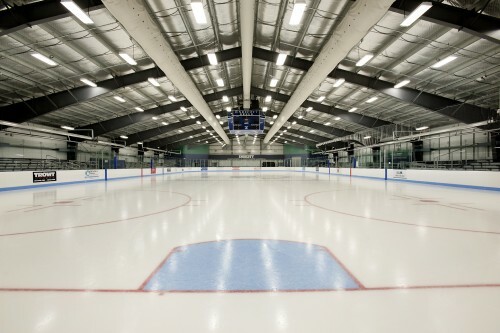 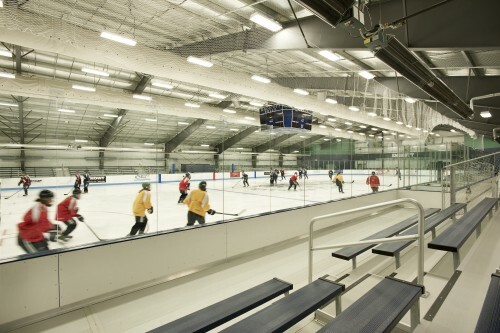 ft ice arena building and a 12,500 Sq.ft accessory building. 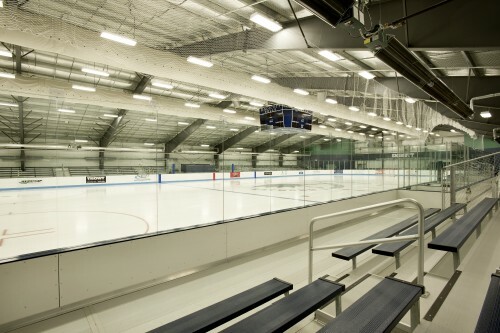 The arena is a 125’ clear span with a R-30 insulation system utilizing perforated arena shield fabric with 6” insulation between the purlins and 4” laminated WMP-10 insulation over the top of the purlins (laminated side facing up). 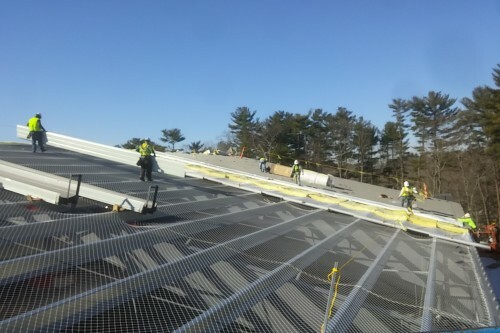 The roof panels are Metallic’s double-lok standing seam roof panel in slate gray. 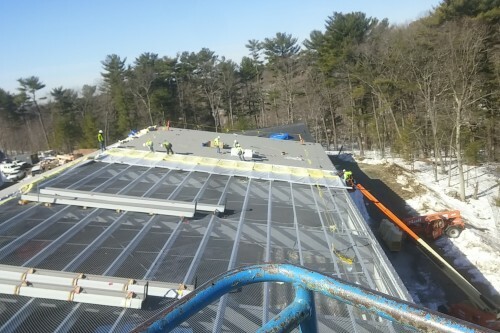 This building and the accessory building are sheeted with both horizontal and vertical 4” Metl-span insulated panels. 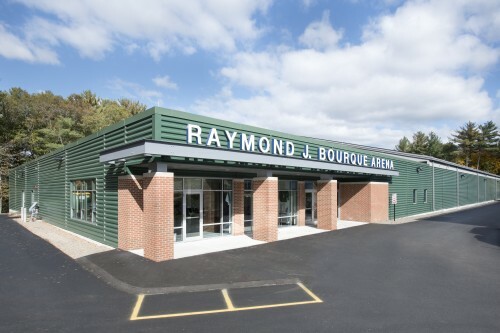 The horizontal panels are Metl-span’s 4” 7.2 ribbed panel in classic green and the vertical panels are Metl-span’s 4” striated panel in smoke gray.